Ouf today was hot, sticky, and quite muggy! The good thing about a day like this? It's just perfect for a Strawberry Mint Fizz! Aren't the sunflowers just oh so cheerful?! 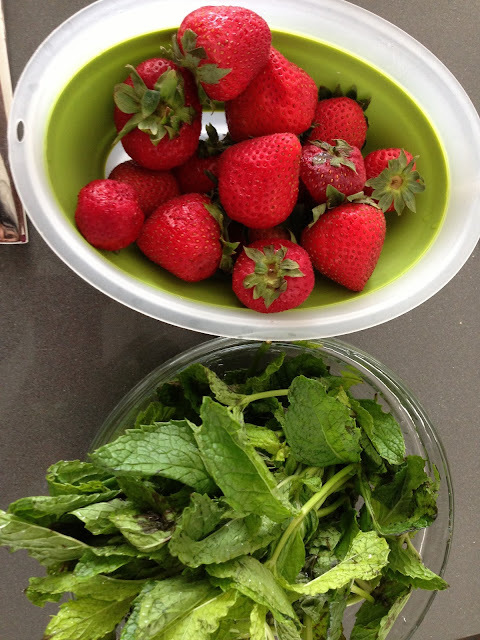 Hull and quarter the strawberries, then pulse them all together in a food processor with the mint. 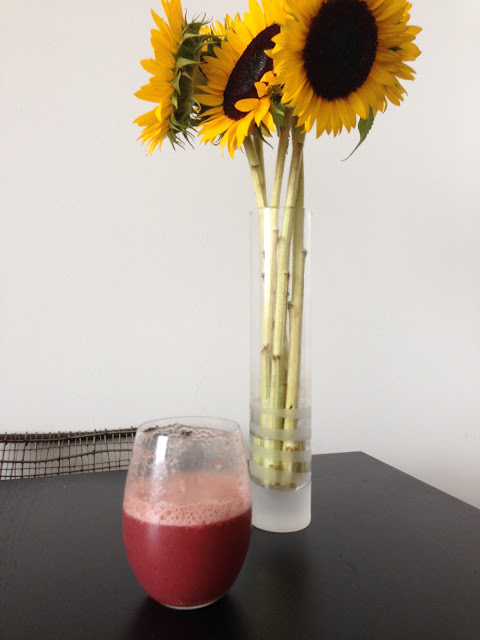 Pour about a quarter cup into each glass, then top to the brim with club soda.